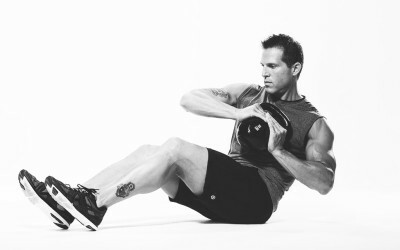 This devilish workout from PT Alex Isaly is a killer. Start with the heaviest weight you can and power your way through the sets with a steady tempo. Get to failure? Q. What is a good way to hit the triceps if I don’t have any workout equipment or if I am traveling? Q. What are your thoughts on taking Creatine as a training supplement? Q. What are the benefits of incorporating planks into your ab circuit? A. Planks are a great way to build strength (physical and mental), improve posture/balance, and flexibility. Q. Can you speak to running and how important form is while you run?